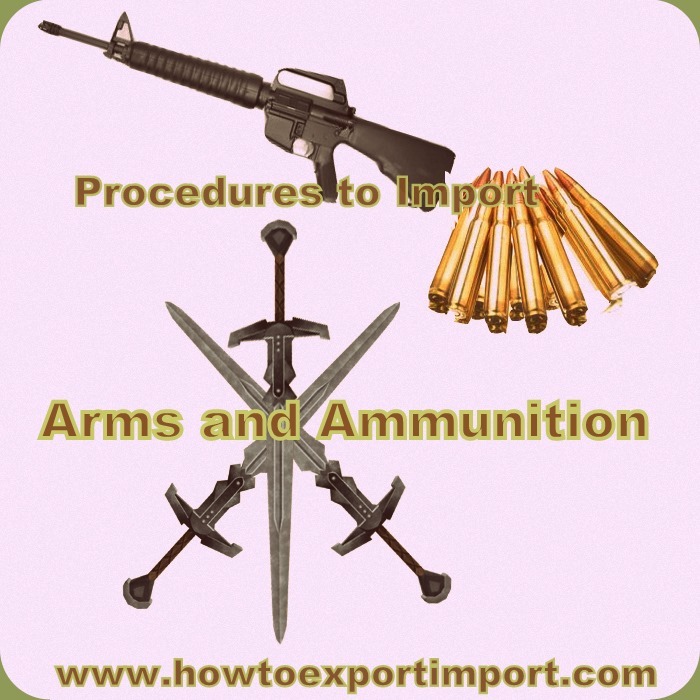 In this post, I have mentioned list of ITC codes which help exporters and importers of ARMS and AMMUNITION, PARTS and ACCESSORIES. ITC is also known as Indian Trade Classification (ITC code), RITC etc. 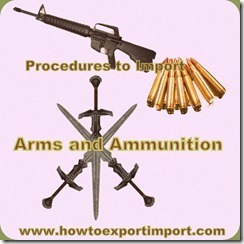 These HS codes helps exporters and importers of ARMS and AMMUNITION, PARTS and ACCESSORIES to identify their product to use in customs department and other government and non government agencies in India to import or export of ARMS and AMMUNITION, PARTS and ACCESSORIES. I hope the information in this post supports exporters and importers of ARMS and AMMUNITION, PARTS and ACCESSORIES. The buyers of ARMS and AMMUNITION, PARTS and ACCESSORIES from India and sellers of ARMS and AMMUNITION, PARTS and ACCESSORIES from India in import export trade may use these ITC codes mentioned. The suppliers of ARMS and AMMUNITION, PARTS and ACCESSORIES from India and buyers of ARMS and AMMUNITION, PARTS and ACCESSORIES in India may please be noted, apart from six digit HS code, commonly adopted worldwide, additional two, four or six digit product classification code is accepted in other countries. Hope this article helps importers of ARMS and AMMUNITION, PARTS and ACCESSORIES from India and exporters of ARMS and AMMUNITION, PARTS and ACCESSORIES from India . Comment below your thoughts. Difference between MBL and HBL. How does MBL work and How does HBL?. Shrinivas: On 12 April 2016 Does someone need a licence to manufacture and export parts belonging to 93 Series of HS Code? ?